Internews is seeking a Monitoring and Evaluation (M&E) Advisor for a USAID-funded Media and Civil Society Organization Strengthening program in Haiti. This multi-year project aims to strengthen independent media outlets in Haiti and improve the operating environment for both media and civil society organizations in the country. Under the supervision of the Chief of Party, the M&E Advisor will help design the project’s M&E plan, and will lead the management and oversight of all M&E functions. Work closely with COP and Senior Technical Director in design and formulation of project’s M&E plan. Provide leadership, management, and oversight M&E plan’s implementation and measure impact of activities and project strategies. Ensure project’s M&E plan is compatible and in-line with Internews’ organizational monitoring, evaluation, and learning plans and strategies. Work closely with and mentor local staff on M&E principals, best practices, and implementation strategies. Design procedures and processes for the efficient compilation of project-related data. Contribute to operational assistance to ensure activities are meeting goals and targets, and recommending operational adjustments. Ensure the project is in compliance with USAID M&E regulations and guidelines. Conduct site visits to the partner organizations throughout the country. Manage and oversee M&E project staff based in the country. Carry out supervisory responsibilities in accordance with the organization's policies and applicable laws. As they relate to the project’s broader M&E plans and strategies, responsibilities include interviewing, hiring, and training employees; planning, assigning, and directing work; and appraising performance. 3+ years programmatic experience or relevant advanced degree. Ability to prioritize and handle multiple on-going assignments. Experience working on fast-paced, complex USAID-funded programs. Knowledge of USAID M&E guidelines and processes, including reporting requirements. Computer literacy in both English and French. Experience working in Haiti, preferred. This position is being offered and hired by Internews Network. Benefits will be consistent with Internews Network's offerings and will be reviewed during the hiring process. 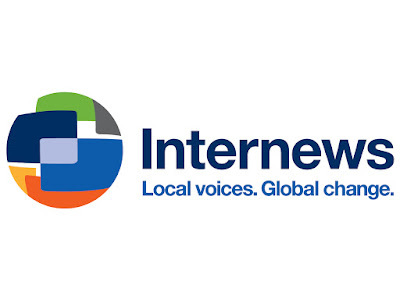 Additional information can be found on our About Working for Internews page.